On April 27, 2011, downtown Cullman, along with other areas of the state of Alabama, were hit with F4 and F5 tornadoes. Our storefront of Southern Accents, was damaged, having parts of the roof blown off and our front windows blown out. After the initial fear of the tornado had come and gone, people started coming outside to see the extent of the damage. Structures throughout our downtown area were leveled. The immediate need of everyone was overwhelming. The SA gang quickly boarded up our windows and went into the community to help any others that were in need. For weeks after this horrific event, we were unable to conduct our normal business because we were assisting our neighbors in need. The decision of stopping our business and helping others was an act of compassion that every able body in our community did as we saw the overwhelming need through that disaster. As humans and Americans, that act of compassion of placing our neighbors first, should be what we do when a terrible event of mother nature happens, but making that choice comes with a cost. By making that choice, during the aftermath of the tornado, times were very difficult as we had to spend all of our cashflow in helping others and our business was struggling as we lost several weeks. The stress of our community being destroyed, the stress of not having revenue from our business in weeks, the stress of trying to figure out if we had to permanently shut the doors at SA – our whole existence and our future hinged on friends of SA and friends of Southern Makers helping provide for us through those hard times as we were knocked to our knees. I am writing about this personal crisis in my life today to say two things: THANK YOU for helping support SA and my family through those hard times, but we now have a current situation with a friend / fellow Southern Maker in Houston who needs our help. WE NEED YOU!!! Many in the Houston, Texas, and surrounding areas, are dealing with the disastrous aftermath of hurricane Harvey including our good friend and fellow maker, Travis Weaver of Manready Mercantile. I called Tuesday morning to check on our friend. We were thankful to hear that Travis’s shop escaped the flood. Unfortunately, many of his surrounding neighbors did not. Luckily, Travis has a shop equipped with showers and has running water still so he has turned his store into a first responders station and a point for area drop-off donations of supplies for his community. Unlike the tornado we had in Alabama in 2011 – Houston’s nightmare flooding will continue to see the devastation for weeks as the waters subside. From what Travis has shared with me, an immediate need for folks in this area is toiletries and small hygiene necessities that most of us take for granted. Many of the stores in the area are flooded. The ones who have been able to remain open have had their inventory depleted. Any remaining supplies are being rationed until more can arrive. While Travis would never ask us for help, knowing from first hand experience, the toll mother nature takes on a small business makes it unable to operate under normal circumstances. The only thing you should worry about is helping others, and hopefully the business will survive later. As I was on the phone with Travis, I felt his stress and I remembered the feeling of wanting to help my community, but saw all of my savings being depleted to support my SA family – knowing the day was coming where I would not be able to pay my workers and my debt. That feeling of hopelessness is something that a small business owner should never feel – especially when they are placing the needs of others first in a time of crisis. Without all of you coming to purchase items and allowing us to get them to you when we were able – SA could not have made it. The Southern Makers Family and Southern Accents Family want YOU to unite with us to help our friend. Therefore, we are reaching out to everyone that loves SA and our fellow Southern Makers family to provide information on two paths of action you can do to help Houston and/or Travis. An immediate need for many in this area is toiletries. Travis is accepting donations of needed items at his brick and mortar store which is the local drop off. Travis will be transporting donated items in his company van to various areas for distribution. A detailed list of needed items is listed to your right. Please box all donated items and mark the boxes with #SouthernMakersWithHouston. You can support Travis’s business, during this time of need, by shopping with him online. When checking out, in the special instructions box, type in #SouthernMakersWithHouston. This code will let Travis know that your purchase is your way of helping out a brother in need and that you are in NO hurry for your order to be filled and shipped. Once things settle down and Travis can reopen his business, he will be able to fill and ship all orders. This request is NOT coming from Travis. This is an idea that friends of Southern Makers came up with as a way to help keep his business continue to stay focused on his community. Whether your purchase is large or small, please take action and help our fellow maker. Without your support in 2011, Southern Accents would not be here today. So, please visit him online at Manready Mercantile. Finally, and this one should be at the top of our list, pray. The worst is yet to come for all in the affected areas. Please join us as we lift our brothers and sisters up in prayer. Please help spread the word by sending this email to friends as well as sharing this on your social media accounts. Current view of Travis’s store. and any other small items and toiletries that fill basic needs. If there’s anything else along these lines, we’re sure they’ll take them. Keep the supplies coming and they will be dropped off! God bless Texas! They do ask that you do not bring or send any clothing at this time. We will be passing along updates from Travis as we receive them. Please feel free to forward this information to anyone who may be looking for a way to help.Updates will be posted on Southern Makers Instagram page @southernmakers. Southern Makers 2017 found us in a new city, a new venue, and a few new additions to our celebration! Despite storms earlier in the week and high temperatures, the weather held out for us all weekend and the viaduct at Sloss Furnaces was the perfect retreat from the mid day heat. 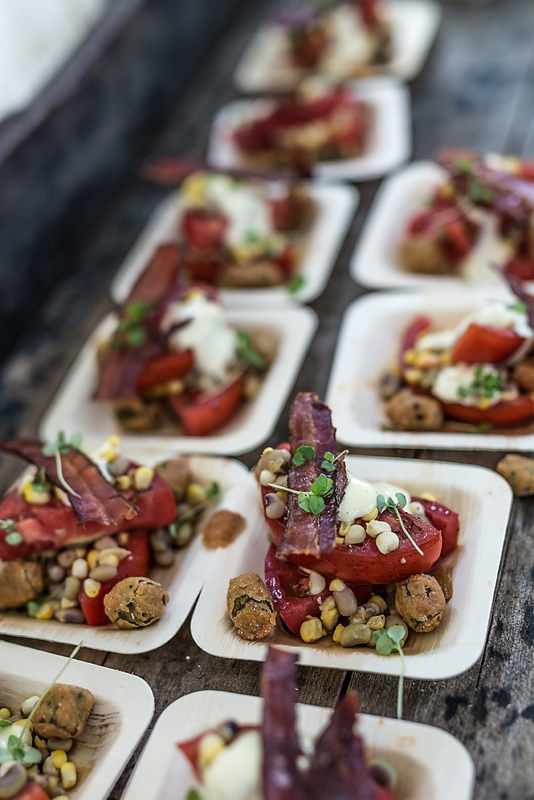 The festivities got underway Friday night at Pepper Place Market with a one-of-a-kind dining experience featuring the culinary delights of 5 southern chefs and special guests Natalie Chanin and Mike Wolfe. The food and drinks were delicious and the company divine! The dinner was a perfect introduction to the weekend festivities at Sloss. Attendees lined up early outside the 19 feet tall x 32 inch wide custom made, salvaged wood entrance. The gates opened at noon and the crowd poured in, ready to enjoy the offerings of around 100 makers. Event goers were able to sample goods, participate in demonstrations, and interact with some of the most talented artists and makers from throughout the state of Alabama. Maker booths and tents were lined up both sides the length of the viaduct. One end of the viaduct supported one of this year’s new features, a craft beer garden, while the other end was home to live musical performances as bands took to the makeshift stage to entertain the crowd. Another new feature this year was the addition of graffiti artist Moses Pressnell. Moses painted the side of this trailer Saturday and Sunday during Southern Makers. This beautiful work of art is titled “Fly First”. You can follow Moses and see more of his incredible art on Facebook at facebook.com/mosespressnellart. The other new addition was the Urban Arts Dance Competition and Demonstration sponsored by Alabama Dance Nation. Watching the highly talented dancers battle it out for the big prize was highly entertaining! And… we can’t forget about the concert Saturday night at Avondale Brewery by Single Lock recording artists including John Paul White and Mia Dyson. Coming through a jam packed weekend, we have to take this opportunity to say a heart felt THANK YOU!! There is no way we can name everyone by name without leaving someone out, as it took a countless number of people to pull off an event of this magnitude. Every single person who played a part in this event, large or small, was needed and appreciated. Our thanks goes out to all of the Makers, Sponsors, those who have worked tirelessly over the past year to help plan every aspect of this event, the Southern Makers and Southern Accents Team, our venues; Sloss Furnaces, Pepper Place Market and Avondale Brewery, the Volunteers, the Chefs, Brewers, the Security and those involved from the City of Birmingham who helped make this happen, and of course our media sponsor Garden & Gun Magazine. Most importantly, we want to thank the attendees! Without you, all the effort would be in vain. We realize your time is precious and we appreciate you choosing to spend some of it with us! We’ll be posting photos on our social media accounts in the coming days so keep watch! We also want to see YOUR photos! Please post your photos from this past weekend and tag us with #southernmakers2017 or @southernmakers. The demonstrations throughout the weekend were a huge success! Casting artists from Sloss Furnaces, pizza making with Bill St. John and broom making with George Jones were but a few of the crowd pleasing demonstrations! The VIP lounge was hopping all weekend as VIP ticket holders were treated to culinary delights and refreshing drinks in the decked out air conditioned tent! The Pine Hill Haints returned this year, along with other musical guests, to entertain the crowds. The Beer Garden was a popular new feature as craft beers from over a dozen Alabama brewers were offered throughout the weekend. Happy faces from makers and guests alike were common under the Sloss Furnaces viaduct! We hope to see you all again next year!! We’re a little over 2 weeks out and counting!!! #southernmakers2017 will take place August 12 & 13 at Historic Sloss Furnaces in downtown Birmingham, AL. The list of this year’s Makers has just been released and it is stellar! We are thrilled to welcome back many makers who have been with us from the beginning. We are equally excited about all the new makers who will be joining us for their first SM adventure! You can access a full list of this years Makers by visiting Southern Makers online. In addition to all of the high quality goods offered in the Makers booths, this year you will be able to get crafty at Southern Makers Beer Garden. Curated by the Alabama Brewers Guild, sample and enjoy craft brews from over a dozen breweries. Beer tokens will be available at the garden entrance for $2.50 each. A 6-ounce pour will be 1 token. A 12-ounce pour will be 2 tokens. During the event you’ll also be able to enjoy demonstrations and workshops presented by several of our makers, along with a street dance battle curated by Creative Mindz. Tickets for this year’s event are now available at SouthernMakers.com. Single day and weekend passes are available with all children under the age of 10 admitted for free! If you want to get the best BANG for your buck, consider a VIP ticket! For only $85 you get an all access weekend pass, a parking pass, private, air conditioned restrooms, and access to the air conditioned VIP tent. Inside the tent you will have access to complimentary culinary treats and libations from some of the South’s finest makers! This is definitely the way to go but… there are a very limited number of VIP passes available and they are going fast! VIP tickets as well as single day tickets and weekend tickets can be purchased by visiting Southern Makers. Tickets are on sale through August 13th. Tickets will be available at the gate the day of the event but will cost more so make sure you get them early!! A one-of-a-kind dining experience to benefit Southern Makers nonprofit. With special guests Natalie Chanin and Mike Wolfe. Sponsored by: GMC, Southern Accents Architectural Antiques, Mason+Dixon, Pepper Place, Cathead Vodka, John Emerald Distillery. The evening will start at 5:30 PM in the cocktail lounge with libations and a Southern Makers anniversary craft cocktail created by Chris Hastings. Guests will enjoy a five course dinner prepared by a variety of top southern based chefs including: Adam Evans, formerly of Optimist, Atlanta, GA, James Lewis Bettola, Birmingham AL, Alex Harrell, Angeline, New Orleans, LA, David Carrier, Certified Burger, Sea Island GA, and Josh Quick, Odette, Florence, AL. Miami’s own, five-star sommelier Heath Porter will pair wine with courses. 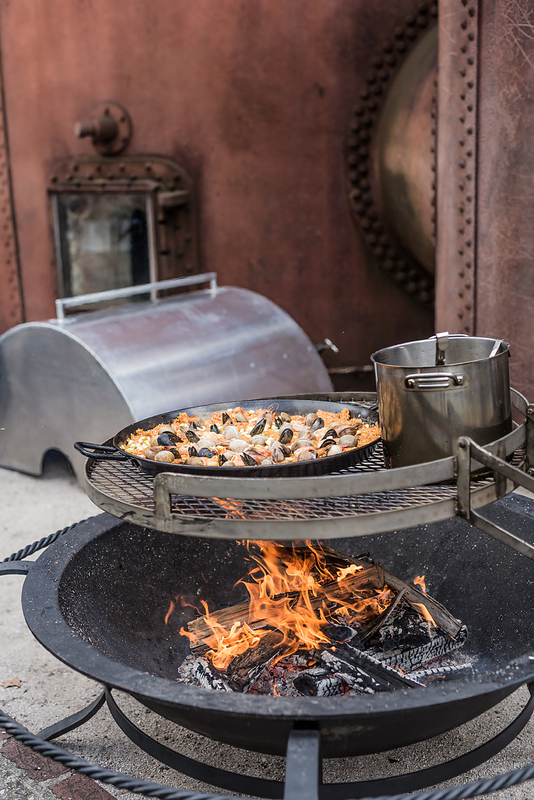 Each chef will prepare a special plate to add to this one-of-a-kind culinary experience. The atmosphere and surroundings will complement the dinner with an urban farm-to-table feel and theme. Table flourishes include place settings from McQueen Pottery, cotton napkins by Alabama Chanin, flowers by Stone Hollow Farmstead and more. 29th Street to the historic Pepper Place will be transformed for one night only into a joyful dining room under the stars of Alabama. Visit southernmakers.com for more on the weekend schedule, updates added daily. Several years ago we acquired a wonderful, turquoise blue 55’ Chevy. Even though it was a little rusty and would not run, we felt that we could give it a good home. We added our logo to the door panels and have used it for marketing purposes ever since. Even though he was not running, Ole Blue has done his share of traveling around North/Central Alabama. With the help of our flatbed trailer, he made his debut in the spring of 2013 at Southern Makers. Parked at the entrance of Union Station Train Shed in Montgomery, Alabama, he greeted visitors and served as a backdrop for their many photos and selfies. Outfitted with a set of brand new tires, he returned to Montgomery in 2014 for his second appearance at Southern Makers. His bed filled with colorful flowers, he once again greeted visitors for the weekend, all of whom were delighted to see his cheery face! In between his Southern Makers appearances, Ole Blue has been spotted at wedding venues and alley parties and has attracted the attention of numerous local photographers. One of his photos won a blue ribbon at the local fair. His face has been the subject of many paintings and is currently featured on several products by Alabama artist Mellissa Meeks. This rendition of our 55′ Chevy titled “Wild Blue Yonder” by artist Mellissa Meeks currently hangs in our upstairs office. Sadly, the time has come to find Ole Blue a new home. While he has served us well, it is time for retirement. We are seeking a replacement vintage vehicle that runs. We currently have him priced at $3,500 but will consider all reasonable offers. He would make a terrific prop or could potentially be given a new life by someone looking for an ambitious project. You can view him online HERE. Ole Blue is currently housed at our wood showroom at 250 Janeway Drive in Cullman. You can stop by during regular business hours to pay him a visit. Give us a call at 877-737-0554 with offers. Another year has come and gone… but it has been a great one! 2016 has kept us so busy that it seems like only yesterday we were here recapping 2015. This past year started off with a bang as we traveled to New York to design the runway backdrop for our good friend Billy Reid for New York City fashion week. Returning from New York we quickly began a project for Mike Wolfe of American Pickers. We traveled to his home in Tennessee, providing salvaged wood and installation for the floor, ceiling and wall of his motorcycle warehouse. Mike has become a dear friend and we are currently working on other projects for him. Watch American Pickers and you may see Mike wearing his SA t-shirt!! This past spring we were thrilled to be featured in Garden & Gun Magazine! Our relationship with Garden & Gun further developed this past year as we designed and decorated the G&G Artist Tent at Slossfest for the second year in a row. But, only after another very successful trek to Montgomery for our fourth installment of Southern Makers! We are already excitedly working on Southern Makers 2017 and believe that this year will be our biggest and best show yet, so stay tuned!! This past fall we were excited to have the opportunity to save over 100 stained glass windows from Central Baptist Church in Decatur, Alabama. During this salvage mission we discovered a time capsule tucked away in the center of a cornerstone. The cornerstone and it’s contents will be presented back to Central Baptist Church this spring during their anniversary celebration. October was a busy month as we traveled to Florence, Alabama for Billy Reid’s Shindig No. 8.While famed chef John Besh catered the event, Blackberry Farms Brewery provided their award winning beer as we were in charge of the set design and decorations for the annual event hosted by designer Billy Reid. We also started work on one of our largest projects to date at The Westin Hotelin Nashville, Tennessee. To round out the year, for the first time in the history of Southern Accents, we closed the store during what is one of our regular business days so that our entire team could attend the Retailer of the Year Awards luncheon in Birmingham. Southern Accents was awarded the Silver distinction in our category. 2016 has been an exciting and successful year, but we know that without our customers, none of what we do would be possible. Whether we are patching a door, undertaking a large design project or preparing for an event like Southern Makers, it is only through the support and patronage of our customers that makes any of it possible. We would like to say a heartfelt THANK YOU for allowing us to do what we love! Make sure you are following all of our projects via our social media accounts, as well as this blog. We are looking ahead to another exciting year in 2017 and would not want you to miss anything!!! Southern Accents is not just a business. We are a team of creatives. Although we all stem from different backgrounds and possess different talents, one common thread that we all share is that we are passionate about the creative process of every project that we tackle. Each time we are asked to create something, be it a staged area or backdrop for an event, decor for a new restaurant, a unique piece of furniture, or any number of other projects we have been asked to take on, we approach each new project with what we call “the trampoline theory”. We believe that for the most part, a single idea fashioned by one individual, on their own, is usually neither unique or the final outcome. However, when an idea is taken and bounced around among others who are creatively like minded, the idea begins to grow and develop. As new ideas are introduced and slowly merge with the original, the idea grows higher. Some parts may fall to the side while others will take shape and start to soar. There are times when we have to “get off the trampoline” and let the idea rest. Once the idea is brought back to the table, it is generally with a renewed vigor that results in a triple back flip of success!! Our most recent example of our creative process is the stage backdrop that we created for Southern Makers 2016. Originally Garlan had a totally different idea for this years backdrop. As he began bouncing his ideas back and forth among the team, his original idea began to grow and eventually evolved into the very cool backdrop that you see in the photo above. Surrounding yourself with like minded creatives, even if they do not practice the same field of art, is essential. Being in the company of other makers of all genres fuels our own creativity and provides the support and encouragement that is often needed. No matter what your creative passion; food, gardening, woodworking, painting, photography, etc., surround yourself with others who are passionate about their art and go #createsomething! Southern Makers 2016 is now a page in the history book, but what an incredible event! Within a few short weeks of SM2015, plans were underway for this year’s event. While the planning and the promoting of this event takes place year round, there is a tremendous amount of hard work and a lot of man hours that go into making this event the huge success that it is. The Southern Accents team arrived in Montgomery on Wednesday of last week and worked around the clock right up until the gates opened. Southern Accents is responsible for designing and constructing all the set designs of this massive venue which include the entrance, stage, conversation tent, bar, workshop area, covering the dumpster wall, the booth for Southern Makers as well as our own Southern Accents booth. It is a team effort for sure! We are so thankful for the SA Team… not only those who worked tirelessly at the event, but also those who stayed behind to hold down the fort! We would also like to thank the many volunteers who worked through the weekend, the makers, and the sponsors. The atmosphere is definitely akin to a big family reunion. It would be impossible to name everyone here who played a part in the events success but rest assured, no ones efforts went unnoticed!!! We also want to thank everyone who attended the event. Your support of our Makers helps to ensure their success, as well as, the events success to showcase Alabama’s talent! Make sure you are following us on Facebook and Instagram. We will be posting more photos from this past weekends event. We will also be posting details regarding a second Southern Makers event this September at Sloss Furnaces in Birmingham as they become available! A couple of weeks ago we braved freezing temperatures, torrential downpours and pelting sleet while traveling south to Sloss Furnaces to make a BIG announcement… Southern Makers has added a second show! Mark your calendars. September 10 – 11, Southern Makers will be at Sloss Furnaces in Birmingham, Alabama. Last Thursday, the Alabama Tourism Department held a press conference unveiling their theme for 2016. This year is proclaimed as “The Year of Alabama Makers”!! The theme was based off the Southern Makers event that has placed innovation, creativity, and passion to the forefront for ALL Alabama Makers since it’s inception in 2013. We were thrilled to join Lee Sentell, the State of Alabama Tourism department director, and Leigh Sloss-Corra representing the Pepper Place Market, for the press conference, which took place at the historic Sloss Furnaces. Also, in conjunction with this year’s state theme, the Market at Pepper Place in Birmingham will host a Makers’ Village each Saturday morning during the months of June, July and August. The Makers’ Village will be set up in the parking lot of chef Chris Hastings’ new OvenBird restaurant and will feature a variety of merchandise from Alabama artisans and craftspeople, many of whom will also be participating in the Southern Makers event. Tickets for the 4th annual Southern Makers held Saturday, April 30 and Sunday, May 1 at the Union Station Train Shed in Montgomery, Alabama are on sale NOW can be purchased by visiting southernmakers.com Ticket prices begin at $35 for a one day adult pass or $50 for the weekend. Children 10 and under are admitted free. VIP passes are also available. This show sells out every year so get your tickets now! Details for Southern Makers at Sloss Furnaces on September 10 – 11 will be forthcoming. Make sure that you are following both Southern Makers and Southern Accents social media accounts to receive up to date news. Detailed information, Maker applications, and ticket info coming soon. Southern Makers is a two-day event that celebrates and cultivates Southern creativity and innovation by bringing together highly curated, handpicked top talent that “make”…music, designs, buildings, farms, art, food, beer, clothing, soap, coffee, and tea – essentially the top makers in their respective trades. Ranging from experts in Architecture to art, fashion, food, repurposing, and everything in between, the event explores southern based creativity that enriches lives. This is an event that is created for makers (and enthusiasts), by makers as a platform to come together in one central location to network, learn, inspire and cultivate the southern soul that keeps Alabama and Southern Makers unique and special. Get your tickets and make plans now to attend! Southern Accents wanted to design a valentine, and with the help of local artist Leldon Maxcy, we created some gorgeous salvaged wood hearts! Each one-of-a-kind heart is hand crafted from salvaged wood and is ready to hang. The hearts, which are available in two sizes in a variety of color options, have been very popular and make a great gift item for your valentine. Over the years we have called on Leldon on many occasions to help us out with odd jobs. We weren’t aware of his mad scroll saw skills until a couple of years ago when he brought in some ornaments that he had made for Christmas. We were blown away with the intricate details in the wood that he had created with the use of his scroll saw. Last year as we were preparing for Southern Makers, we decided that we wanted to build a huge replica of the State of Alabama to use as the stage backdrop. We wanted each county represented and we wanted the backdrop to be a colorful mix of salvaged wood. As the Alabama design began to take shape, we knew that Leldon was the one with the skills to cut out each county and help us create our over sized Alabama puzzle. He rose to the challenge and the backdrop was a huge hit! After Southern Makers we began getting requests for the state cutouts on a smaller scale. We put Leldon to work and have kept him busy ever since! We currently have the Alabama cutouts in two sizes as well as picture frames and our newest creations, the hearts. We will be bringing a great selection of our salvaged wood art with us to Southern Makers April 30 – May 1. Tickets for Southern Makers are currently on sale at southernmakers.com. In the interim, stop by our showroom to see the wide variety of wall art that we have to offer. As we begin looking back at the year 2015, we are astounded with all that we have accomplished. Although to say that 2015 has been our best year to date sounds a little cliche’, it is a true statement! This past year has kept us bustling… each project has been filled with excitement and has pushed our creativity to new heights! 2015 began with a trip to Spartanburg, South Carolina, where we began our largest salvage project to date. We worked throughout the year saving architectural elements from a beautiful 10,000 square foot estate known as Bonhaven. Come May, our attention turned to Southern Makers in Montgomery, Alabama. In it’s third year, 2015 saw Southern Makers expand to a 2 day festival and without a doubt, the best one yet! 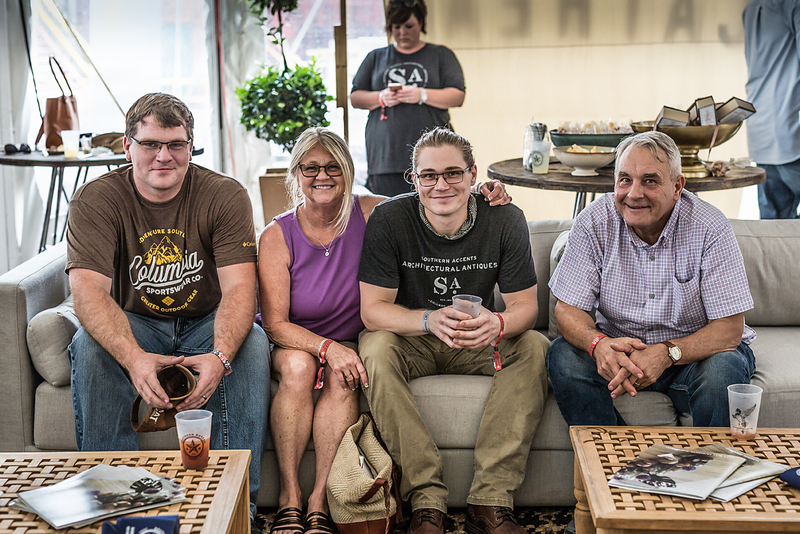 For SA, Southern Makers is like a huge family reunion as we get to collaborate and hang out with other artists throughout the state, many of whom have become like family. This summer we took on a new project that took our creativity to new heights. We were asked by Mason plus Dixon to create the Garden & Gun Artist Lounge for Birmingham’s largest music festival, SlossFest. We transformed the interior of a large event tent into an amazing lounge that was a haven from the heat for the music artists during the weekend festival. The tent transformation, complete with salvage wood walls and arched church windows was nothing short of spectacular! Fall rolled around and we were asked to create an artistic entrance for Chef Frank Stitt’s private party held in Florence, Alabama, as part of Billy Reid’s Shindig No. 7. We were given creative license on this project, so we designed and built a salvaged wood tunnel with an artistic twist! In between our larger projects and events we have stayed very busy. We are extremely proud of all the custom jobs that we have taken on this past year. We have worked on custom jobs for McPhearson Oil, Yellow Hammer, Oven Bird Restaurant, Lyons Coffee Roasters, Mike Wolfe of American Pickers, and Billy Reid. We also designed and built a community table for Highland Village in Jackson, Mississippi. We hosted several events in our alley including a lunch for Senator Jeff Sessions, a black smith demonstration and a personal pizza making event for a group of first graders from East Elementary! You can follow all of our projects via our social media accounts as well as our blog. If you are not following us, click on the links below and join us! We are looking ahead to another exciting year in 2016 and would not want you to miss a thing!! !